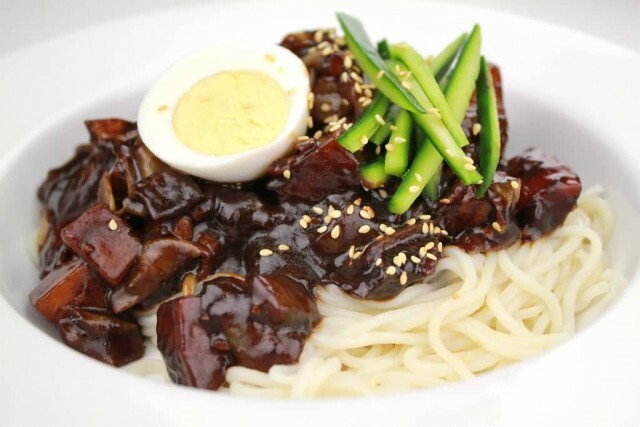 Jajangmyeon is a noodle dish topped with a thick sauce made of chunjang (a salty black soybean paste), diced pork and vegetables and sometimes also seafood. It is a Korean Chinese cuisine. 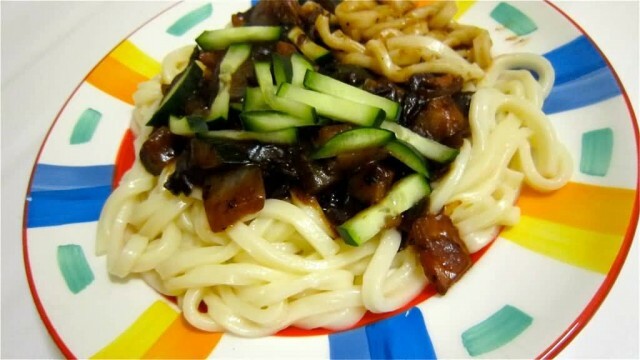 Jajangmyeon is usually served with a small amount of danmuji. The dish is often served with a small amount of sliced raw onions, seasoned with rice vinegar, accompanied with a little chunjang sauce. The diner eats the noodle with danmuji and onions dipped in chunjang sauce. There are variations of the jajangmyeon dish, which is jajangmyeon served with the jajang sauce without the starch, with the sauce and noodles being served separately in different bowls and samseon jajangmyeon, which incorporates seafood such as squid, shrimp, sea cucumber and others (but never fish). Misua is a very thin variety of salted Chinese noodles made from wheat flour. It originated in Fujian, China. Misua is made from wheat flour. Cooking misua usually takes less than 2 minutes in boiling water and sometimes significantly less. 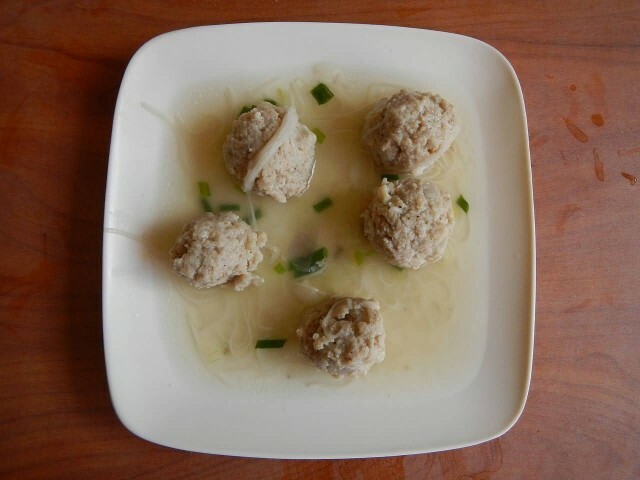 Misua is cooked during important festivities and eaten in mainland China as well in Taiwan, Malaysia, Indonesia, Singapore, Vietnam, Brunei, Thailand and the Philippines. Misua signifies long life in Chinese culture and as such is a traditional birthday food. It is usually served topped with ingredients such as eggs, oysters, pig’s large intestine, shiitake mushroom, beef, shallots or scallions and roasted nuts. In Taiwan, there are two forms of misua. The first is plain, while the second has been steamed at high heat, caramelizing it to a light brown colour. 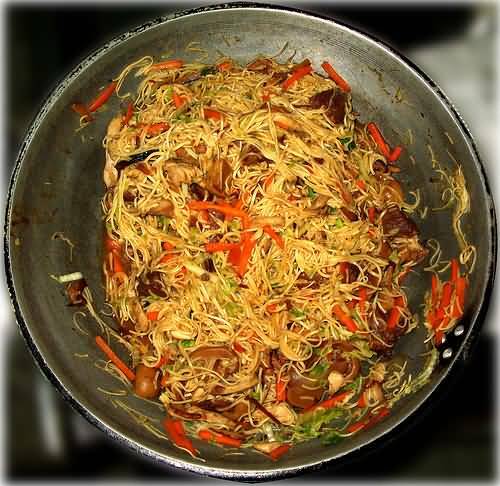 Yakisoba is considered a Japanese dish but may have originated in China as a variant of fried noodles. 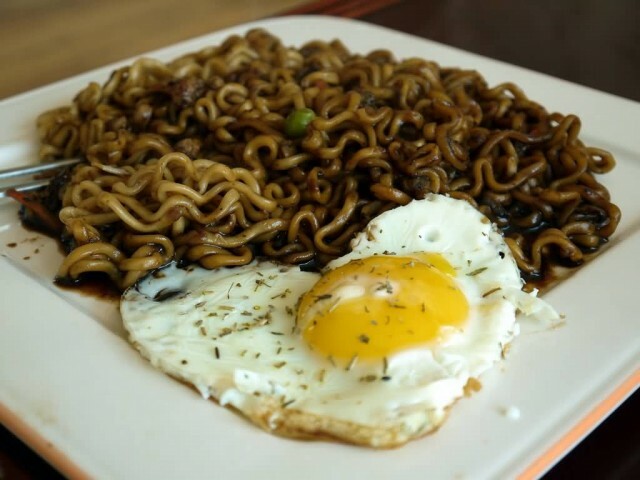 It is prepared by frying ramen-style noodles with bite-sized pork, vegetables (usually cabbage, onions or carrots) and flavored with yakisoba sauce, salt and pepper. It is served with a multitude of garnishes, such as seaweed powder, shredded pickled ginger, fish flakes and mayonnaise. 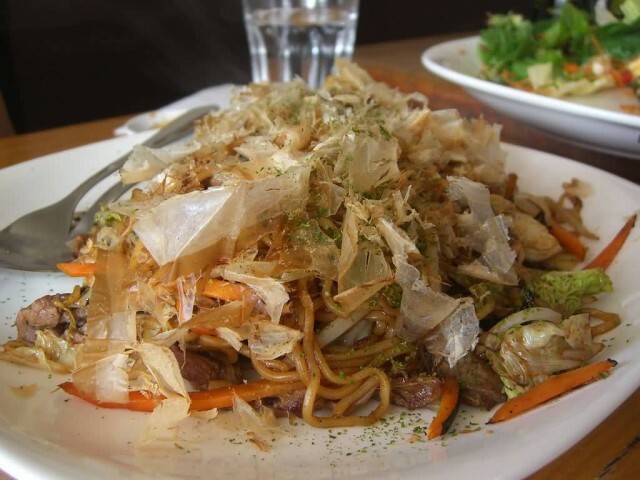 Yakisoba is most familiarly served on a plate either as a main dish or a side dish. 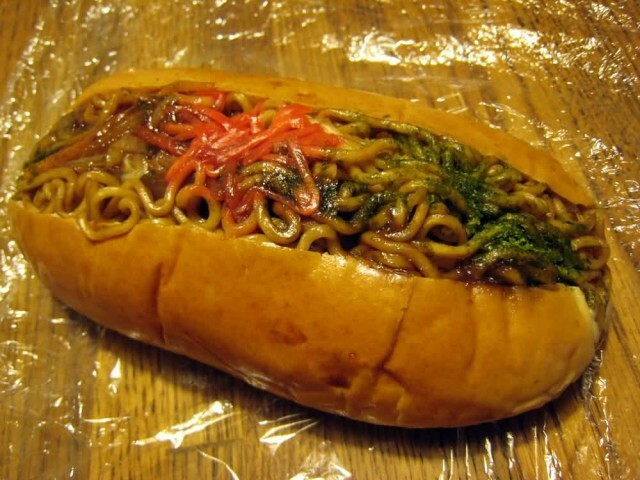 Another popular way to prepare and serve yakisoba in Japan is to pile the noodles into a bun sliced down the middle in the style of a hot dog and garnish the top with mayonnaise and shreds of pickled ginger, it’s called yakisoba-pan. 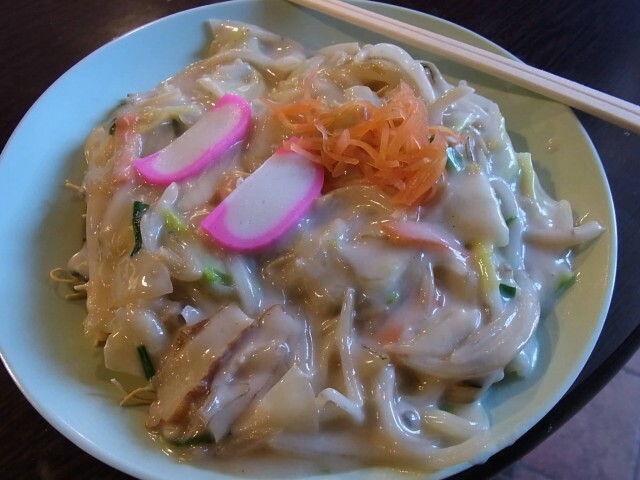 Sara udon is a noodle dish native to Nagasaki prefecture, Japan. 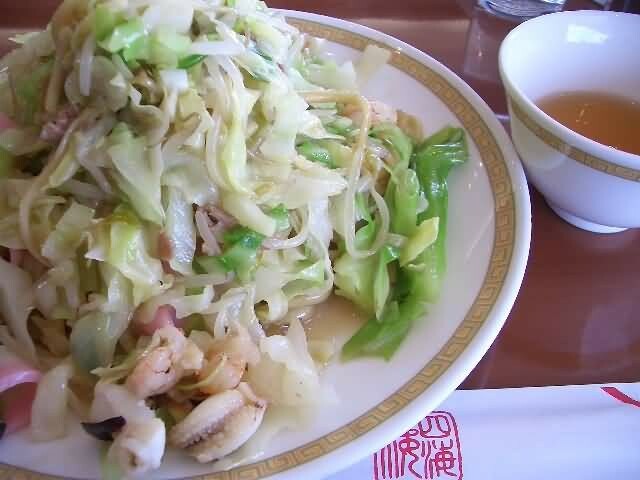 Consisting of a base of noodles and a topping of fried cabbage, bean sprouts and other vegetables, as well as squid, prawns, pork, kamaboko etc. 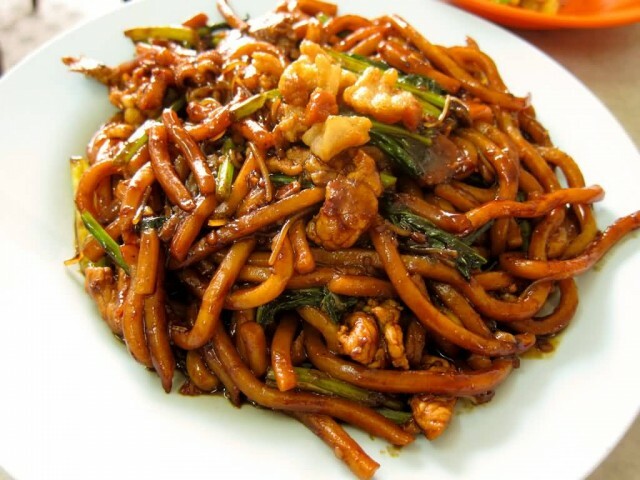 There are two main varieties of noodles, thinner crispy noodles fried in oil. 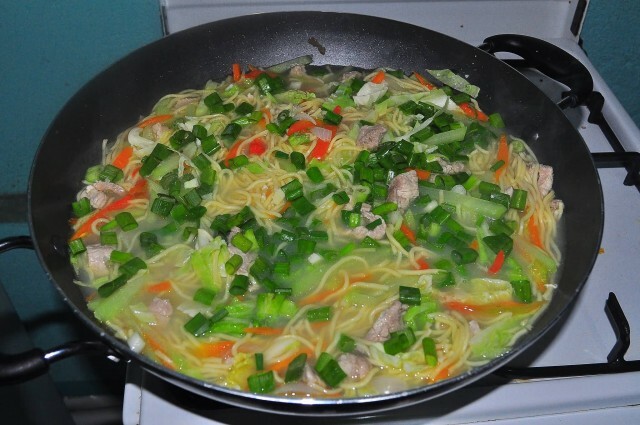 Another variation uses thicker Chinese noodles. The style and thickness of noodles varies between restaurants. Many restaurants outside Nagasaki prefecture serve only thin noodles. If many people are eating together, it is customary for everyone to take their portion from a single large central dish. There are food delivery services that specialise in sara udon for parties or offices that are working overtime. Sara-udon is sometimes served in school meals at grade schools in Nagasaki prefecture. 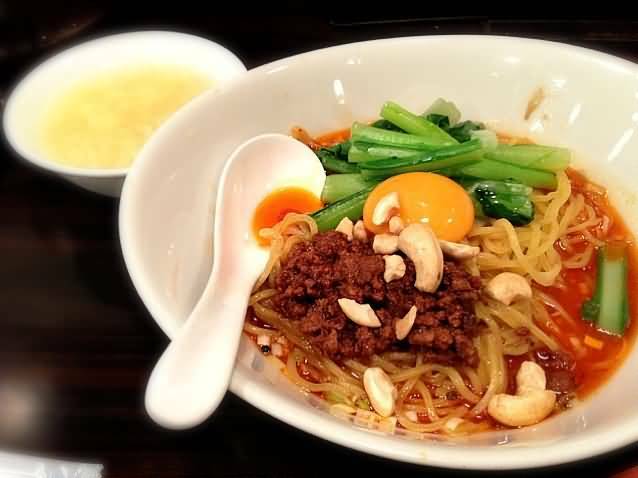 Dandan noodles or dandanmian is a noodle dish originating from Chinese Sichuan cuisine. It consists of a spicy sauce containing preserved vegetables, lower enlarged mustard stems, chili oil, Sichuan pepper, minced pork and scallions served over noodles. Sesame paste and/or peanut butter is sometimes added and occasionally replaces the spicy sauce, usually in the Taiwanese and American Chinese style of the dish. In this case, dandanmian is considered as a variation of ma jiang mian, sesame sauce noodles. 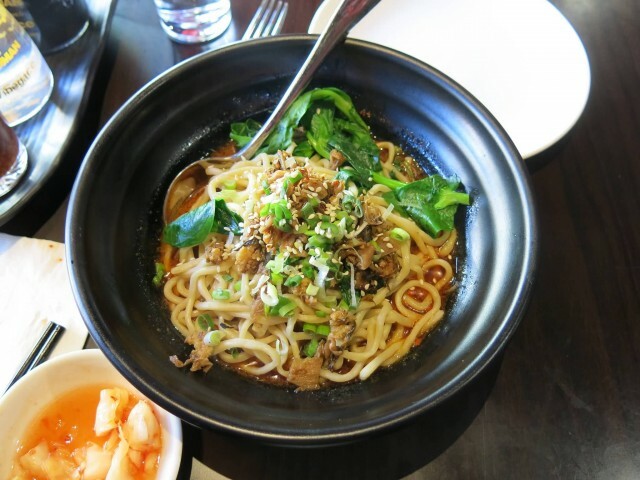 In American Chinese cuisine, dandanmian is often sweeter, less spicy and less soupy than its Sichuan counterpart. Laksa is a popular spicy noodle soup in the Peranakan cuisine, which is a combination of Chinese and Malay cuisine. Laksa consists of rice noodles or rice vermicelli with chicken, prawn or fish, served in spicy soup either based on rich and spicy curry coconut milk or based on sour asam (tamarind or gelugur). It can be found in Malaysia, Singapore and Indonesia. 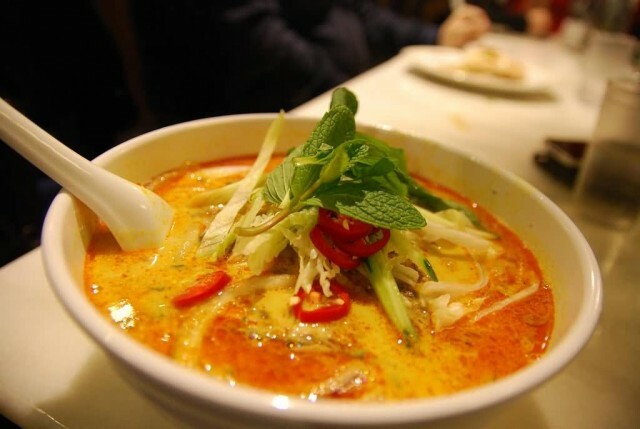 The type of laksa is based upon the soup-base employed in its recipe either rich and savoury coconut milk, fresh and sour tamarind, gelugur or kokum, or the combination of the two. There are three basic types of laksa: curry laksa, asam laksa and other variant that can be identified as either curry or asam laksa. Curry laksa is a coconut milk curry soup with noodles, while asam laksa is a sour, most often tamarind-based, soup with noodles. 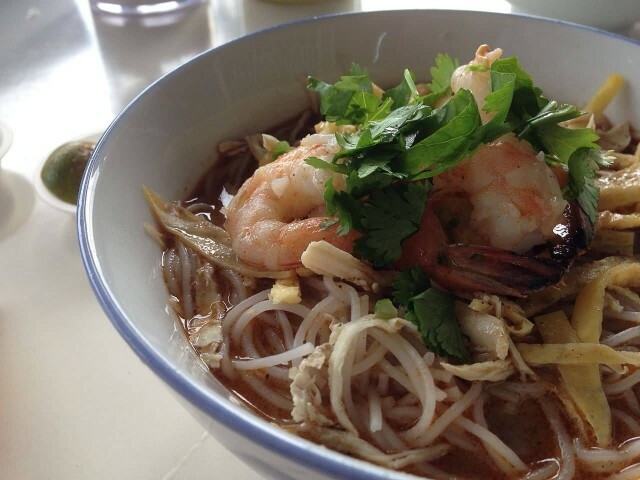 Thick rice noodles also known as laksa noodles are most commonly used. Hōtō is a popular regional dish originating from Yamanashi, Japan made by stewing flat udon noodles and vegetables in miso soup. It is generally thought that the best taste is brought out by boiling pumpkin in the miso soup until it becomes tender and melts into pieces. The dashi (soup base) is made from niboshi, which are often left in the soup in home-cooked meals. Vegetables differ by season negi, onions and potatoes are commonly included during the summer, while taro, carrots and Chinese cabbage make up the winter ingredients, along with various types of mushrooms such as shiitake and shimeji. Pork or chicken can be included by preference. 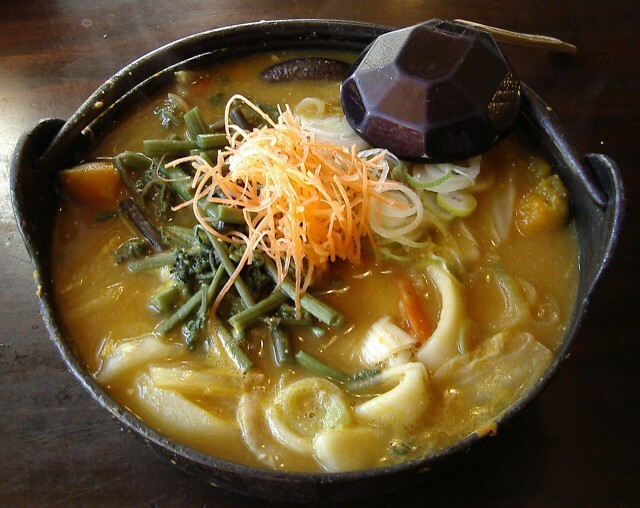 In terms of nutrition value, hōtō provides large amounts of starch from the noodles and potatoes and vitamins and fiber from the soup and vegetables. 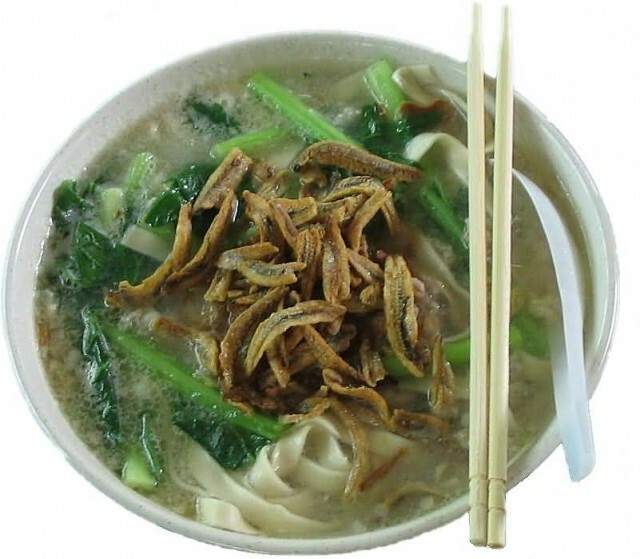 Banmian is a popular noodle dish, consisting of handmade noodles served in soup. Banmian is a culinary dish that is popular in China, Malaysia and Singapore. It consists of egg noodles served in a flavorful soup, often with some type of meat or fish, vegetables and various spices. The meal is considered one of the healthier food choices and can be found for sale by restaurants, street vendors and food stalls in the region. The base of the entire meal is a soup, so there are numerous variations in ingredients, stocks and noodle shapes. 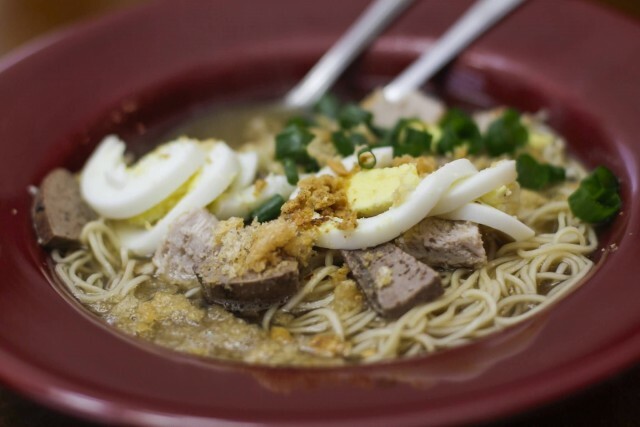 Most versions of banmian use egg noodles that are simply a blend of egg, flour, water and salt that is kneaded and then formed into noodles. However, the modern day banmian is mainly made by using a pasta maker which cuts noodles in all sizes. It is a highly economical dish and you can cook your own at home because it is a fairly easy process. 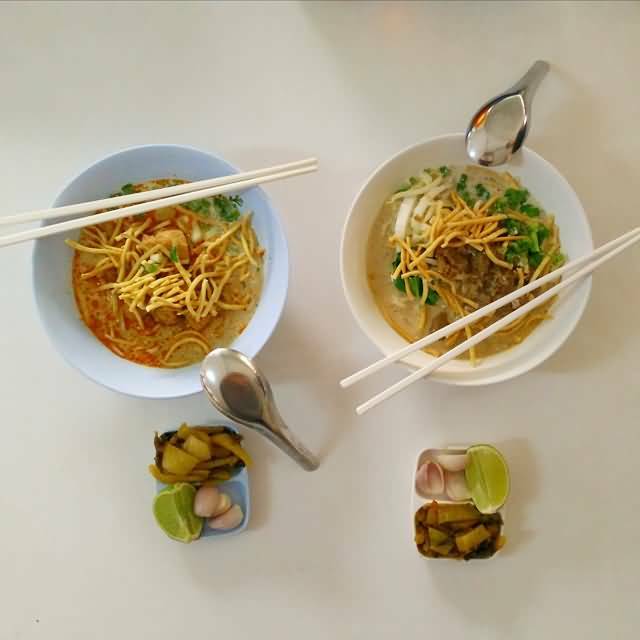 Khao soi or khao soy is a Burmese-influenced dish served widely in northern Laos and northern Thailand. 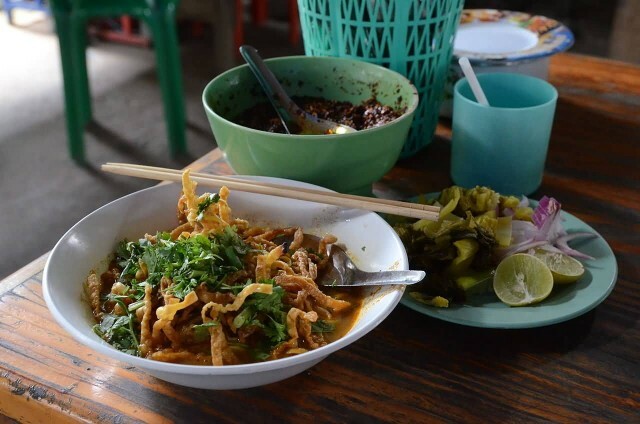 There are two common versions of khao soi: First, Lao khao soi is a soup made with wide rice noodles, coarsely chopped pork, tomatoes, fermented soy beans, chillies, shallots and garlic, then topped with pork rind, bean sprouts, chopped scallions and chopped cilantro. Though northern Laotians have a special way of preparing this dish, different versions of it can be found at Lao restaurants. Second, Northern Thai khao soi is closer to the present day Burmese ohn no khao swè, being a soup-like dish made with a mix of deep-fried crispy egg noodles and boiled egg noodles, pickled cabbage, shallots, lime, ground chillies fried in oil and meat in a curry-like sauce containing coconut milk. It is popular as a street dish eaten by Thai people in northern Thailand. Hokkien mee is a dish in Malaysian and Singaporean cuisine that has its origins in the cuisine of China’s Fujian province. In its most common form, the dish consists of egg noodles and rice noodles stir-fried with egg, slices of pork, prawns and squid, and served and garnished with vegetables, small pieces of lard, sambal sauce and lime. 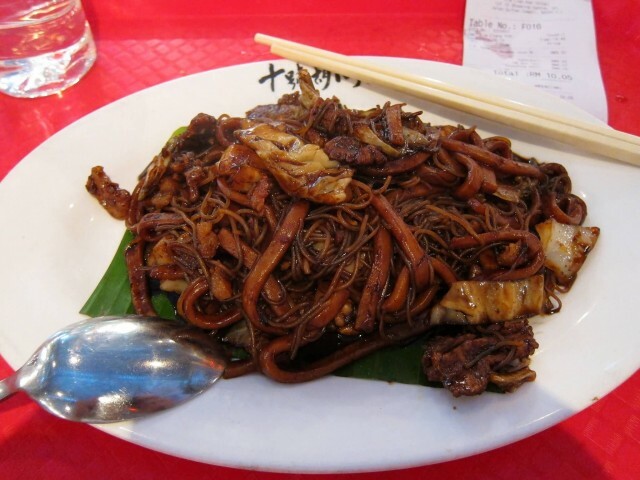 There are two types of Hokkien mee: Hokkien hae mee and Hokkien char mee. Hokkien hae mee is served in Penang. 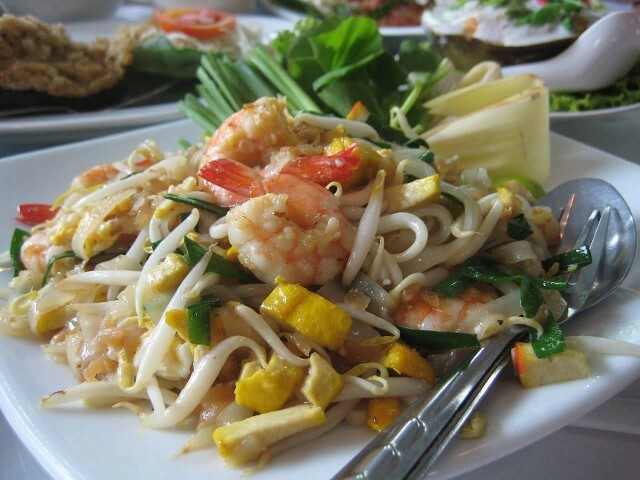 It is a dish of egg noodles and rice noodles in a fragrant stock, which is made from both fresh shrimp and dried prawns as well as pork or chicken. The dish is served with sliced red chili, light soy sauce and sambal. Hokkien char mee is served in Kuala Lumpur. 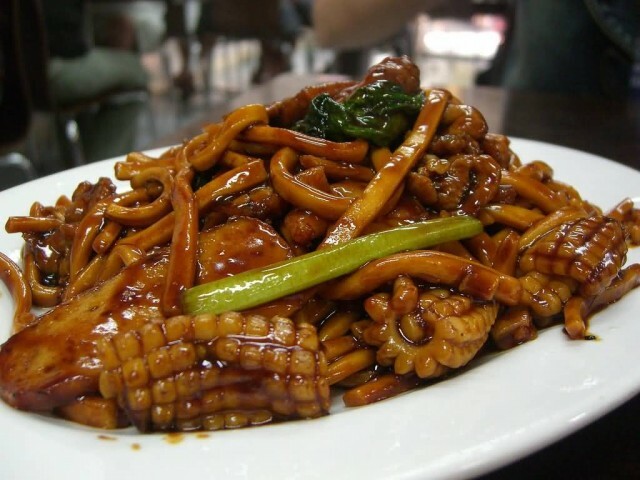 It is a dish of thick yellow noodles braised in thick dark soy sauce with pork, squid, fish cake and cabbage as the main ingredients and cubes of pork fat fried until crisp. 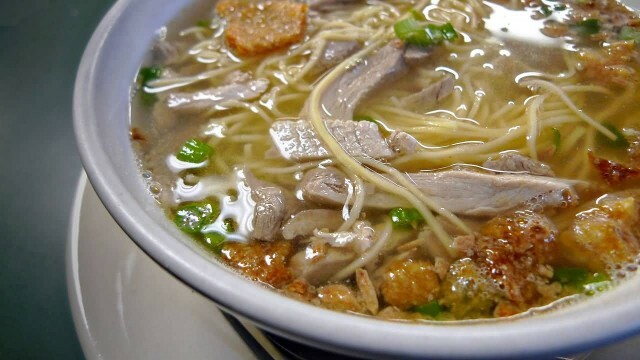 Batchoy is a noodle soup made with pork organs, crushed pork cracklings, chicken stock, beef loin and round noodles. Its origins can be traced to the district of La Paz, Iloilo City in the Philippines, hence it is often referred to as La Paz Batchoy. Ingredients include pork organs crushed pork cracklings, beef loin, shrimp broth and round noodles or miki. The noodles are similar to spaghetti, but are generally a bit finer. Oil is heated in a stock-pot. The pork organs, shrimp, chicken and beef are stir-fried for about a minute. Soy sauce is then added. The shrimp is then added and left to simmer for a few minutes. This broth is then added to a bowl of noodles and topped with leeks, pork cracklings and sometimes a raw egg is cracked on top. Most Filipinos eat the soup using spoon and fork, although it may undoubtedly be eaten using chopsticks as well. 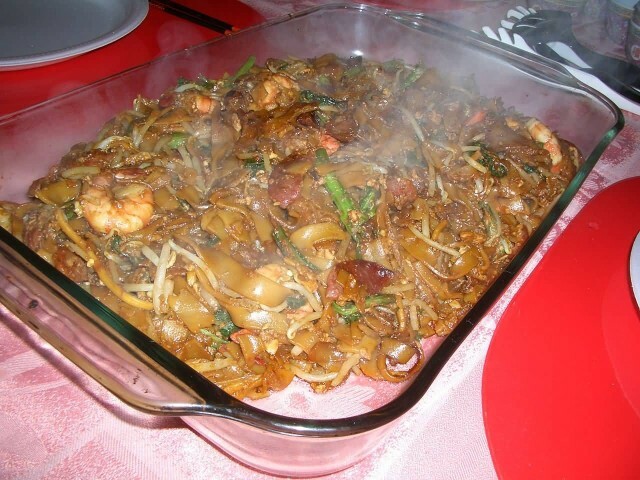 Char kway teow is a popular noodle dish in Malaysia, Singapore, Brunei and Indonesia. The dish is considered a national favourite in Malaysia and Singapore. It is made from flat rice noodles. 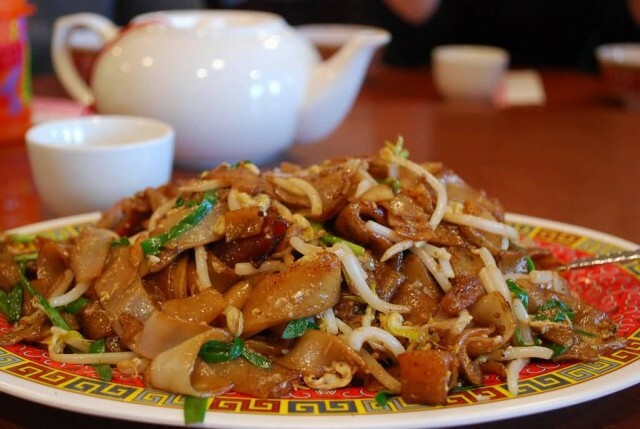 As the dish has become increasingly popular, many cooks have come up with their own interpretations of the same basic main ingredient of ricecake strips/flat rice noodles fried with anything from eggs (chicken or duck), onions, garlic, prawns, cockles, Chinese sausage, chives, etc. The dish is commonly stir-fried with egg, slices of Chinese sausage and fishcake and less commonly with other ingredients. 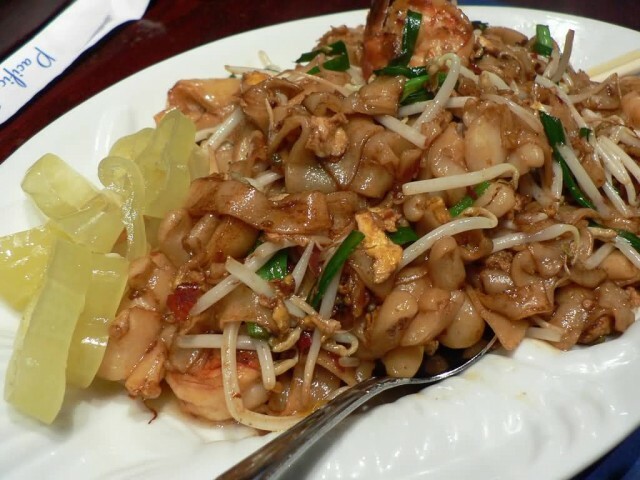 Char kway teow is traditionally stir-fried in pork fat, with crisp croutons of pork lard and commonly served on a piece of banana leaf on a plate. 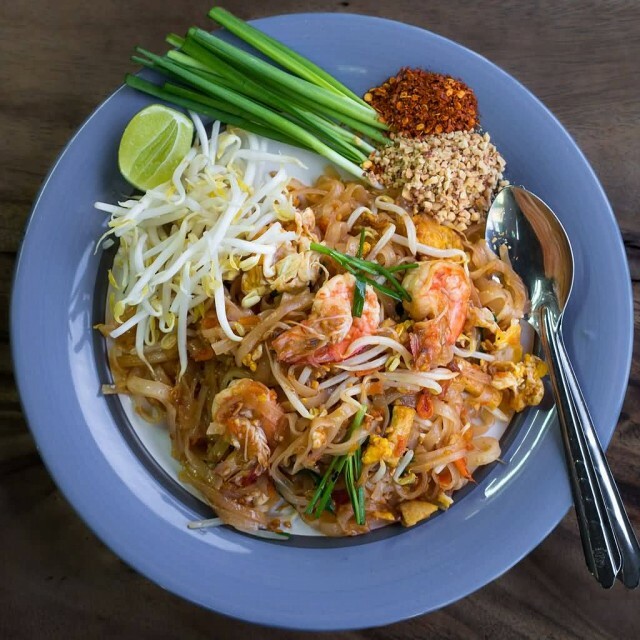 Pad Thai is a stir-fried rice noodle dish commonly served as a street food and at casual local eateries in Thailand. It is made with soaked dried rice noodles, which are stir-fried with eggs and chopped firm tofu and flavored with tamarind pulp, fish sauce, dried shrimp, garlic or shallots, red chili pepper and palm sugar and served with lime wedges and often chopped roast peanuts. It may also contain other vegetables like bean sprouts, garlic chives, coriander leaves, pickled radishes or turnips and raw banana flowers. It may also contain fresh shrimp, crab, chicken or another protein. Vegetarian versions may substitute soy sauce for the fish sauce and omit the shrimp. Facts About The Yellow River (Huang He)?